This spring, SEOs and webmasters were busy making their sites mobile-friendly after Google announced its upcoming mobile update. "Mobilegeddon" rolled out one month ago. It might be too early to jump to serious conclusions, but it's certainly time to discuss the first results! Save the date! James Perrott, Gareth Hoyle and Stephen Kenwright will appear on your screen and talk about their experiences, sharing their knowledge and helping you out with your mobile SEO struggles! 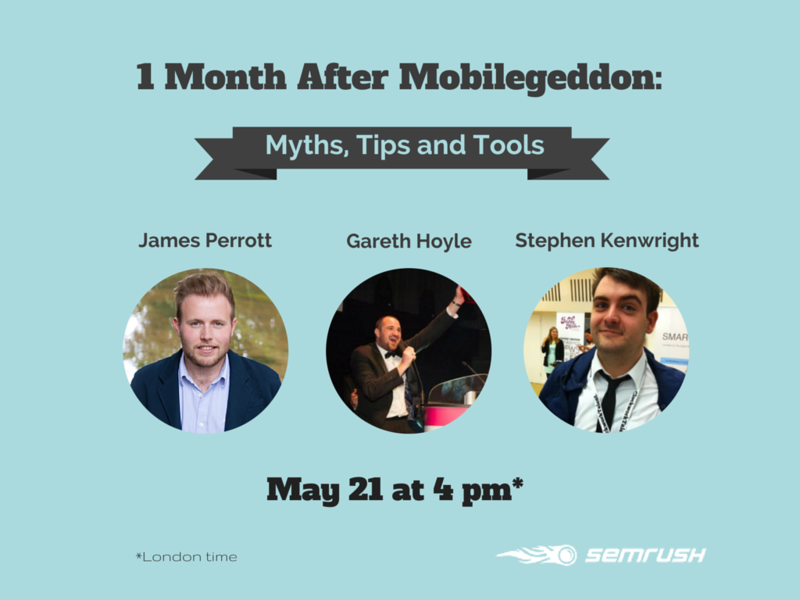 Discover how James, Gareth and Stephen have survived Mobilegeddon. Be the first to hear their exclusive tips and get a chance to ask them your questions online!